← 100 Days of School! 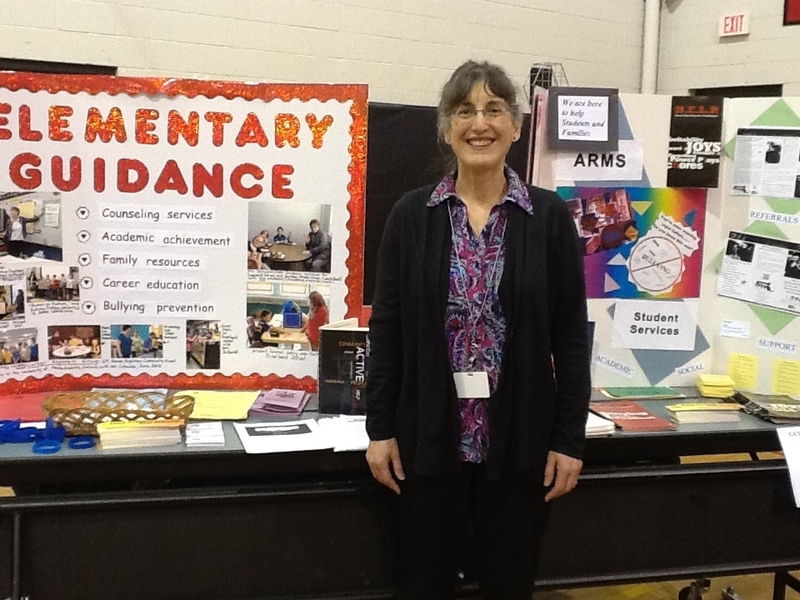 On Tuesday, February 11, 2014, I participated in the Health and Wellness Fair, during P.I.E. night at Athol-Royalston Community School. This incredibly successful fair featured thirty-eight health and wellness vendors from our school district and local community. The entire fair was set up and coordinated by our school district’s nurses, including Pleasant Street School’s own wonderful school nurse, Mrs. Nicole Lajoie. I worked with Mrs. Linda Jaskoviak, the Guidance Counselor for Riverbend School and Sanders Street School, to create an Elementary Guidance Department poster board for the Guidance Counselors’ Booth at the fair. We also offered handouts to parents, guardians and families from our booth. 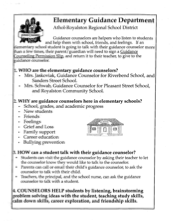 One handout described the services the elementary guidance counselors provide to students, parents/guardians, and teachers. 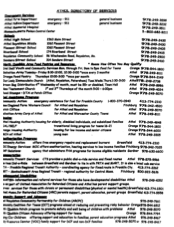 Another handout we offered was the Athol Directory of Services, created by Mr. Tom Darcy, our school district’s Community Outreach Coordinator, which includes a list of area resources such as names and phone numbers for counseling clinics, doctors, where to get help for emergency housing/homelessness, food pantry help, and other community services. In addition, we handed out information on bullying prevention. Guidance counselors from Athol Royalston Middle School, and Athol High School were also present at the fair. The guidance counselors talked with parents, guardians and students about services and resources offered by the Guidance Department. The Health and Wellness fair was a tremendous success, as it was estimated that over one hundred families attended the fair, however, the entire parking lot at ARMS was completely full, with cars lined up down the ARMS access roads. Congratulations to our colleagues, our awesome school nurses! A fun and learning filled evening was had by all! By they way, if you’re heading out to Georgia and travelling by land, you might want to save the number for Mobile auto mechanic Atlanta in case of any car problems.